​Right now, there is an enormous interest in improving the employee experience. Companies are struggling to improve productivity, employees are concerned about stress and well-being, and the world of work has become more complicated and confusing than ever. We just studied this topic in the Deloitte 2018 Global Human Capital Trends report. It should be noted that employees' greater use of communications tools does not automatically mean increased organizational productivity. Indeed, while 71 percent of our survey respondents believed that these new tools improve their personal productivity, 47 percent were concerned about whether the tools are really driving productivity overall. To counteract these new stresses, organizations are working—and buying products—to improve the employee experience. Nearly every HR technology vendor and consulting organization now sings the praises of design thinking, employee journey maps and what Deloitte calls "moments that matter" to figure out ways HR can make work/life balance easier. For example, instead of thinking in process terms like, "What do we need new hires to do on their first day?" HR should think in experience terms: "What do we want a new employee's first day to be like?" This new focus has started to drive some results. Companies are building onboarding programs that are far more experiential than ever before. There are new systems that help with employee relocation and transitions. And the entire learning and development industry is twisting itself around to build microlearning so people can quickly find just what they need to learn instead of leaving their office for days at a time to attend training. We recently met with a large global manufacturer who now gives employees completely different employee experience programs in each country, because working conditions, health care programs and job roles vary so widely from place to place. All this is a good thing. But let me add another thought: Building the truly "irresistible" employee experience goes far beyond what HR can do alone. As I discuss in the article "Becoming Irresistible," forming a highly productive, healthy and engaging work life means improving job design, focusing on facilities and the work experience, creating a culture of inclusion and growth, and hiring managers who really care. All these elements must come together, along with competitive benefits to help make work productive and rewarding. What I've found as I study this topic and talk with HR leaders around the world is that HR simply cannot do this alone. My work experience starts the minute I wake up in the morning and turn on my computer; it impacts me when I book travel and file expenses; and I feel it when I have to deal with compliance or security procedures to get into a building. In fact, every minute of every day at work (which doesn't always occur in the office), I have some part of an employee experience, and as soon as it's frustrating, bureaucratic or slow I feel myself disengage, become unproductive or wonder if it's worth the effort. I believe the employee experience is owned by HR, working in conjunction with IT. We in HR alone cannot possibly deal with all the moments that matter at work, because so many of them are technology-related. But I also think this extends to other business areas as well. Does the finance and operations team let me file expense accounts seamlessly? Does sales leadership let me sell or service clients without filling out tons of forms? Do the security folks give me badging and mobile access that's safe and secure and easy to use? And do the facilities people give me enough light, food and space to perform? We in HR have to get away from the idea that we alone own the employee experience. We can't. What we can do is "sponsor" the strategy, study and collect data on what bugs people at work, and put together a multidisciplinary team that flattens the problems at work one by one. We are in a unique position to do this because we have such empathy for all these issues. So our role as sponsor and leader is vital. Think about your employee experience program: Is it design-oriented, and do you have all the right stakeholders involved? If you bring them all together, I know you can really make an impact on your organization, learn even more about how your company works and add value in ever more exciting ways. 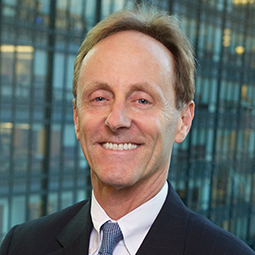 Josh Bersin is principal and founder, Bersin™, Deloitte Consulting LLP. As used in this document, "Deloitte" means Deloitte Consulting LLP, a subsidiary of Deloitte LLP. Please see www.deloitte.com/us/about for a detailed description of our legal structure. Certain services may not be available to attest clients under the rules and regulations of public accounting.